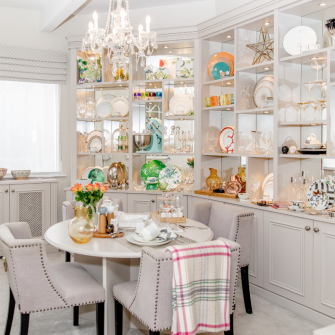 They have been looking after weddings at this beautiful 4-star venue for over 100 years. 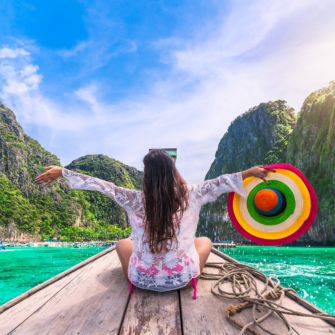 Rebecca McGuire and her dedicated team continue this tradition and offer you and your guests a warm welcome, guaranteeing you a unique wedding day. Whether you are looking for an intimate family gathering or a fun-filled atmosphere, The Talbot Hotel Wexford guarantees you the best choice around. The Talbot Hotel Wexford leads the way in offering flexible Wedding packages to suit your requirements. 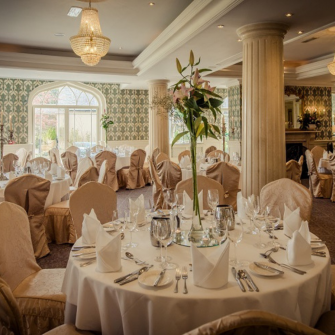 What makes them the preferred wedding venue in Wexford? 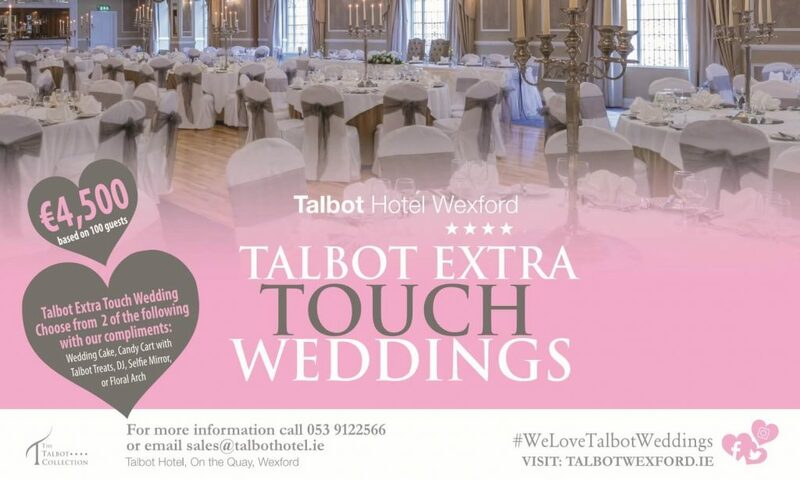 From delicious, flexible, tailor-made packages and spacious, beautifully decorated suites, The Talbot Hotel Wexford offers a variety of exquisite options for a truly unique wedding experience. 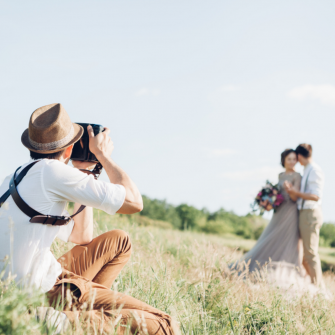 Choice, Variety, Value and Attention to Detail are at the core of our Talbot Wedding Packages. 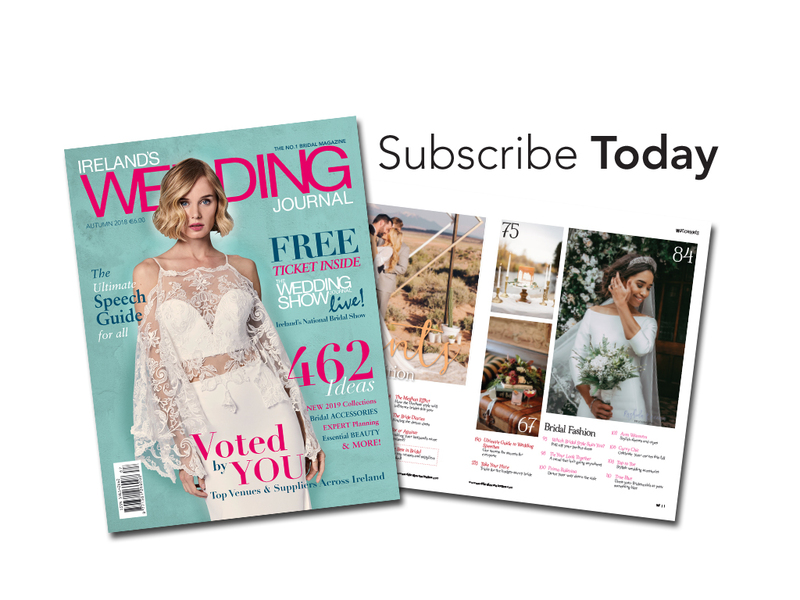 With several attractive packages on offer, Talbot Weddings promises you a truly memorable wedding day with special touches added with compliments – contact the team today about their exclusive Talbot Extra Touch Package for all 2019 Weddings. 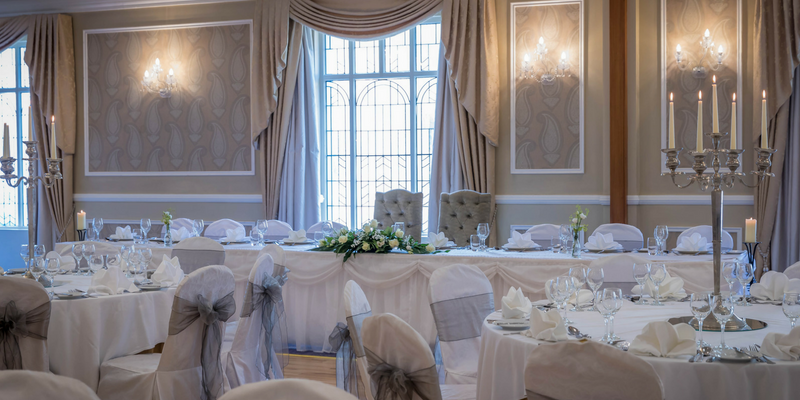 Why not come along to meet the expert wedding team on Sunday, 23rd of September from 1pm to 5pm for their Autumn Wedding Fair and view their exquisite, newly refurbished Slaney Suite Ballroom. 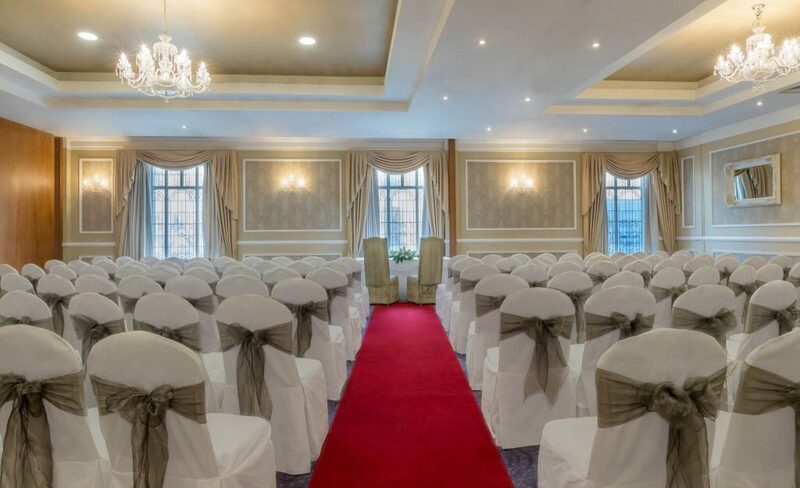 For a unique, stress free wedding day surrounded by your family and friends, The Talbot Hotel Wexford is the number one choice to help you begin your happily ever after.